Combining the durability and smooth movement of Fan resistance with a variable magnetic braking mechanism the Elite Vanquish Rower will exceed your rowing expectations. The Vanquish Rower has 8 stage variable resistance to accommodate for all fitness levels, a strong framework and has been designed to offer an excellent biomechanically sound movement.It is sure to push your fitness goals to another level. Other ergonomic features include an angled rowing handle to reduce wrist pressure and oversized rail for the taller rower. The Vanquish offers a smooth rowing movement provided by the strap drive instead of a chain drive and quality seat rollers ensuring each stroke is smooth and easy on the body. 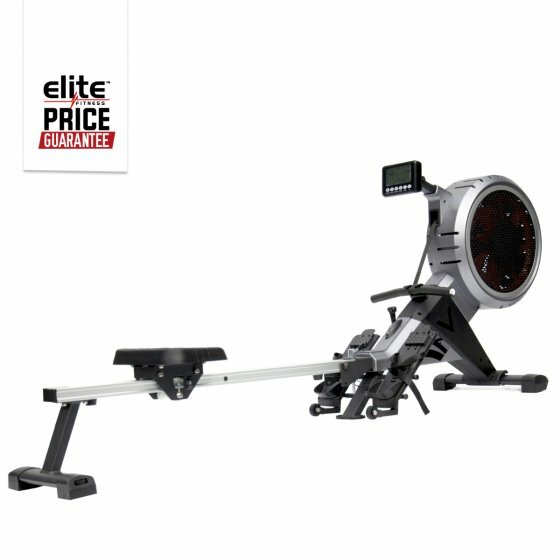 Come in to an Elite Fitness store today to test the Elite Vanquish rower.